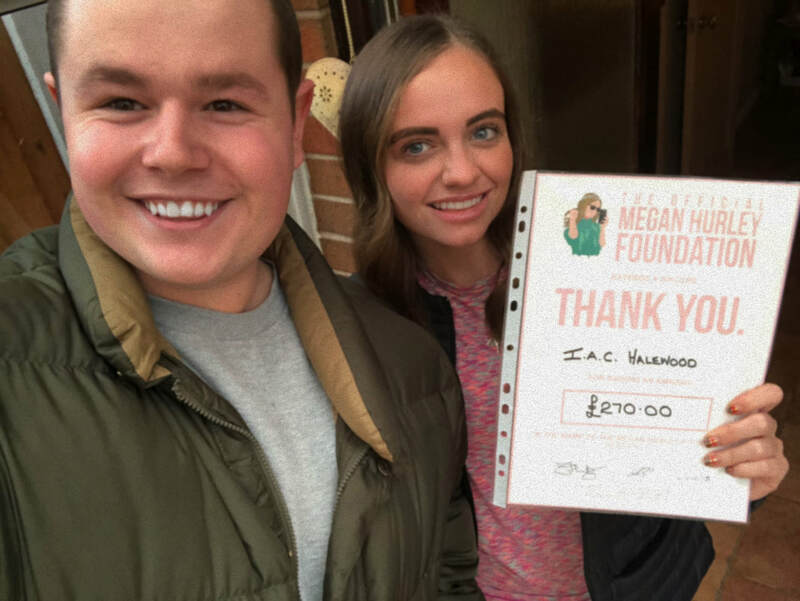 ​A massive thank you to IAC Halewood for this years charity Christmas jumper day being in aid of The Megan Hurley Foundation. 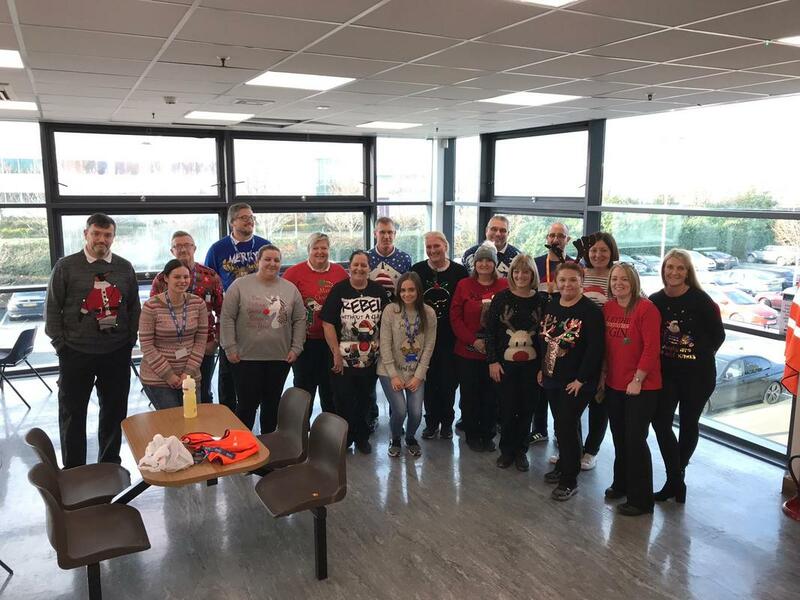 International Automotive Components (IAC), a leading global supplier of automotive components and lightweight vehicle solutions, is implementing Manufacturing 4.0 and Smart Factory applications at its Halewood, United Kingdom, facility & each year they take part in a Christmas jumper day for a chosen charity. Huge thanks to Amy Roberts, Bradley's friend, for putting forward our charity at her place of work and being successful in her bid to raise money! Amy and the rest of the IAC team have raised an amazing amount of money and we can't thank her enough! Amy was awarded her own 'Megan Hurley pin' for taking part in fundraising for our charity. To find out how you can get involved by starting your own fundraising & have the chance to get your very own 'Megan Hurley pin' then please click here.